This week I have been busy trying to keep up with the produce in the garden! We have been harvesting lots of tomatoes, zucchini and cucumbers and I have made salsa, refrigerator pickles, zucchini "meatballs" and carrot and zucchini bars. Last week I also made zucchini relish which is delicious! This month I earned $55 selling some of our children's toys that they have outgrown on Facebook. Most of the money that I earn from selling on Facebook is saved to buy clothes for our family. Our older son had grown out of the cleats that he wore last year to play soccer, so I used some of this money to buy a new pair of cleats. I was able to find a brand new pair of cleats, in just the size we needed at a local second hand store for $8! What a blessing! This is the time of year that I start looking for sales on summer clothing for next year. I found a summer pajama set for my younger son in a bigger size for $3 that was originally $12. I will pack this away for next year. I always try to buy pajamas at end-of-season sales since it is very hard to find pajamas in good condition at second hand stores. I stocked up on Frosted Mini Wheats cereal that was on sale this week for $1.88. I will also enter the codes in the boxes at Kellogg's Family Rewards. I am saving these points for a specific reward and I am almost half way there. I bought a box of granola bars this week and received a coupon for a free box of granola bars through a special deal at the grocery store this week. I earned 95 points on Swagbucks this week. I've used some of the gift cards I've earned to buy birthday gifts and I'm hoping to be able to also buy Christmas gifts with gift cards this year. I've set a goal for 200 points next week! **Use the air conditioner only on very hot days and keep it set at 75 degrees. **Earn Swag Bucks for gift cards that I use to buy gifts. **Earn Bing Rewards points for gift cards, Hulu Plus subscription, Skype credits, etc. Hi Vanessa, I am so glad to see that you are back on here. 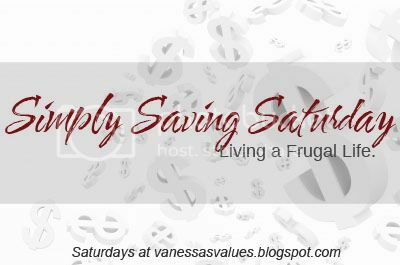 I always have enjoyed coming to your space and seeing how you are saving money. Great score on the cleats. Both of my kids play soccer and cleats are so expensive if you have to buy them brand new.